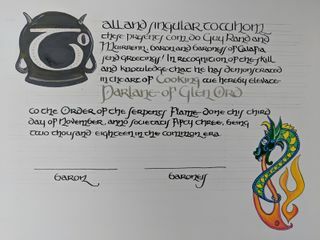 Serpent's Flame scroll for Parlane of Glen Ord. 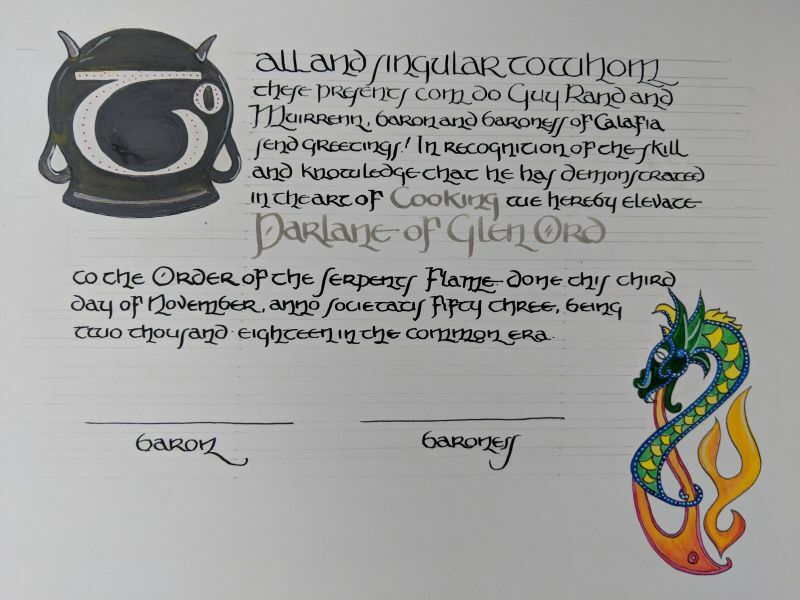 Illumination and Calligraphy by Ariana verch Gwenllian. current 11:34, 7 November 2018 1,600 × 1,200 (359 KB) Ariana.verch (Talk | contribs) Serpent's Flame scroll for Parlane of Glen Ord. Illumination and Calligraphy by Ariana verch Gwenllian.